Buy Anime Items From Japan. You can get hold of Japan-exclusive merchandise with help from Friends in Japan! Ever really wanted to get hold of a piece of anime merch but it doesn't ship to your country? Ever struggled trying to buy an item online because you can’t read Japanese? 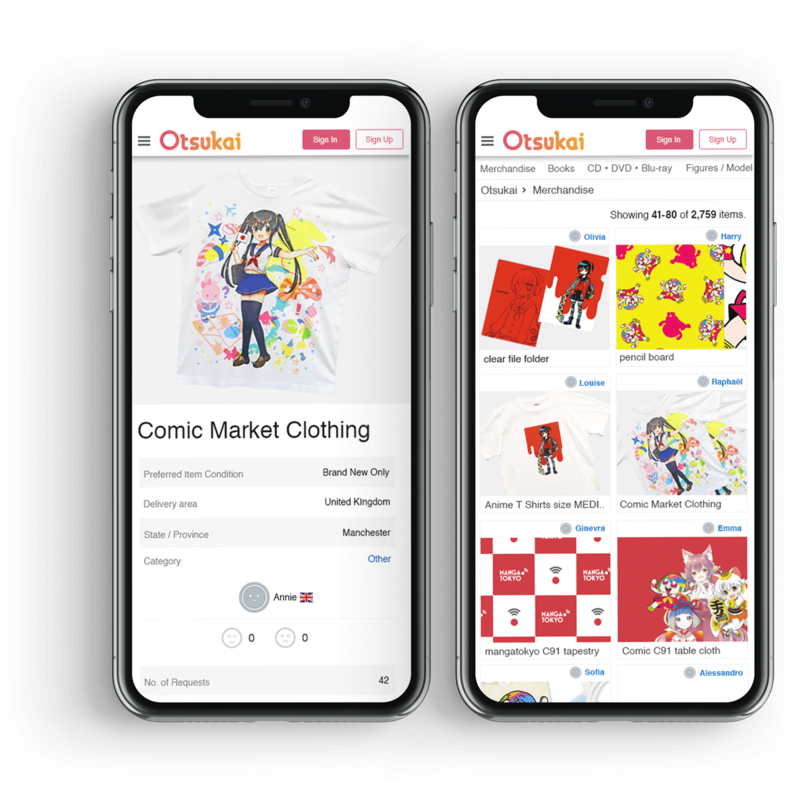 Otsukai is a service which connects you to users in Japan (‘Friends’) who can get hold of those items on your behalf! And anything else only available in Japan! We're not limited to just anime & manga merch. You can also get idol goods, Japanese candy and other Japan-exclusive goodies! So how do I get hold of stuff? Just make a Request on Otsukai, telling the Friends what it is you want to buy and any conditions you have. Once you’ve made a Request, the Friends will search for the item online, in physical stores or in their own collection. If they can find it, they will calculate the shipping costs and make you an offer. If you like the look of an offer, you can accept it and pay via PayPal right away! The price of the offer is the final price you will pay, including shipping, handling, PayPal charges, currency conversion charges, services charges and the Japanese user’s personal charge. The Friend then gets hold of the item and ships it to you! If none of the offers are really calling out to you, you can just ignore them or edit your description to change your conditions! Is Otsukai Suitable for Me? As long as the item doesn’t fall within our list of prohibited items, and is available in Japan, then go ahead and Request it! Our Friends specialise in helping you get items that are usually hard to get hold of, so coming to us with “I found this item on another site but it was too expensive” is probably going to leave you disappointed. Nonetheless, the Friends will always search for the best deal they can find! Otsukai acts as an in-between to protect all users of the site, lowering the language barrier as well as preventing scams and the selling of fake & unlicensed goods. The Otsukai support team are also there to answer any of your questions and to give you peace of mind. We have your back! 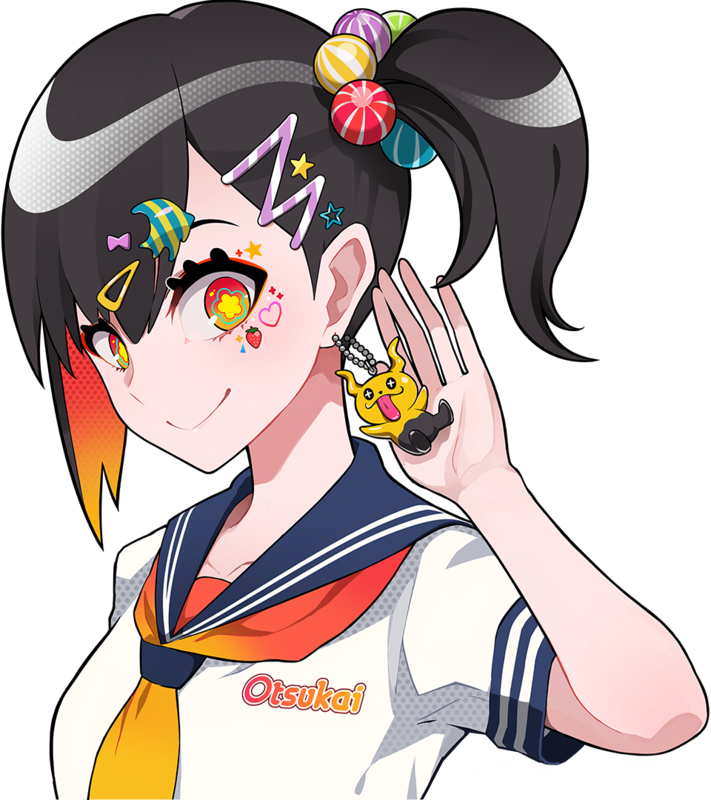 Since going live in March 2018, Otsukai has already had more than 20,000 otaku sign up for the service from all around the world. Go ahead and Request even the most otaku of goods via Otsukai.